So this has been another busy teaching week, and I’ve been doing quite a lot of cross stitch because I understand it, and it always goes the way I want to. 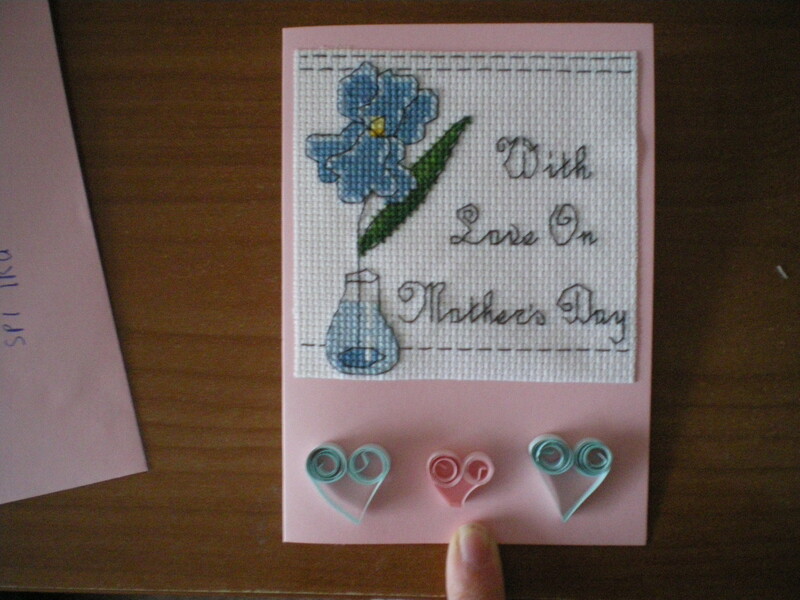 With the result that my mum’s mothers day card is now finished! and finished with some writing- I should practice my writing more, but where’s the time? I already have a plan for this card, but I need to knit something as well before it’ll be sent off. Now it’s back to the blanket again…yipee. 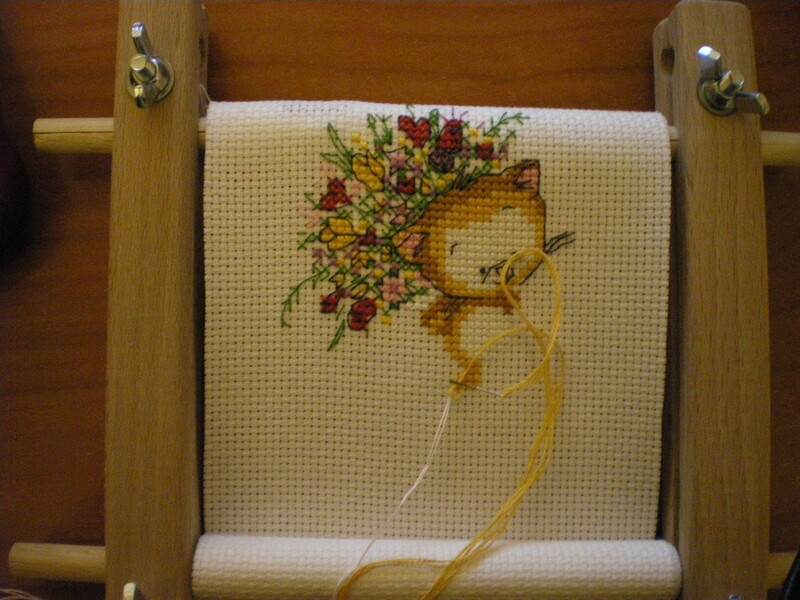 If money – and time – were not limiters, what projects would be on your stitching bucket list? This has been tentatively promised to my parents for the conservatory, to cover a rather ugly box on the wall which has all the wires and things for the lights. So I already have an excuse to stitch this…just need the time! I also have plans to restitch Frederick a few more times, again, just need to find the time! At the moment, I’m still fairly new to cross stitching, and I’m quite young, so I haven’t reached SABLE (stash acquired beyond life expectancy) yet! I fully intend (and believe that it is possible) to do all of these, soonish. Clearly, I am currently loving these small pieces! 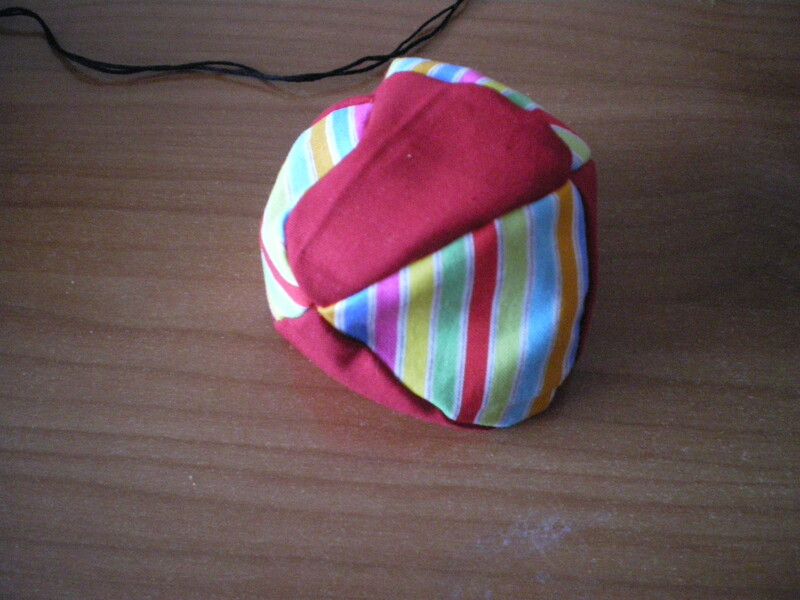 this was a great stash-buster, and I’m already planning more of them, with different coloured cats. Yes, there is a lot of confetti and backstitching, but it looks so darn cute! I didn’t even get bored of it as I was doing it, which was amazing! At the moment, I’m having fun creating a ‘stash’ of completed stitched cards so that when a special occasion pops up, I can just get one, rather than having to make a new one. I would love to hear whether or not you have one? What sorts of cards do you keep on hand? Special occasions, or just generic cards which can be used in any situation? I finished the first sock the other day, and found it was a little too small *mutter mutter*. I’ve been doing a toe-up version of these, (ravelry link) which were lovely when finished. The only difference this time around is that I knitted it toe-up, which apparently makes a Very. Big. Change. So, although I started the second one, it’s gone back away again- I don’t really want to frog a finished sock, which I think I need to do, so it’s hiding until I think of anything better to do. 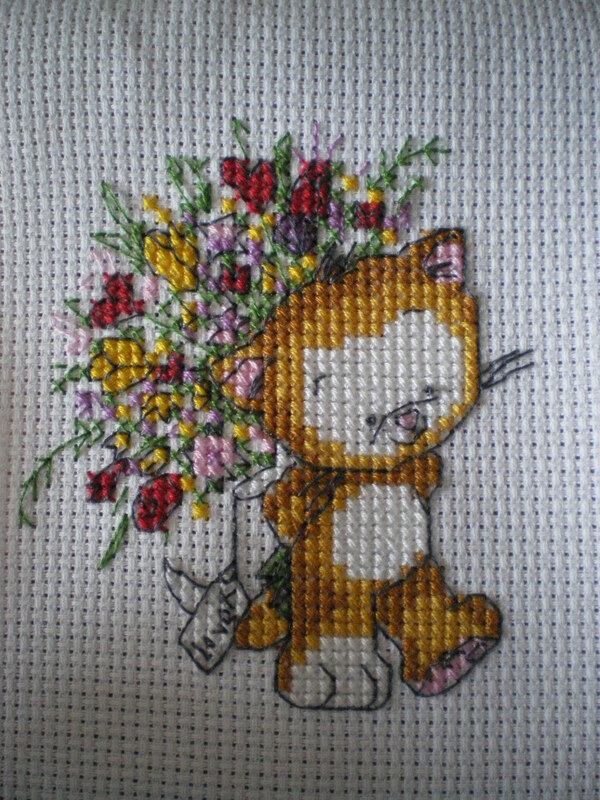 I’ve now just got the rest of the cat to do (Just noticed that the tan floss is covering up the cat’s face- it’s gorgeous in person 🙂 ) and then that’ll be another card finished for some special occasion 🙂 I don’t think that I want to use it! So, does anyone do this kind of plan for controlling their WIPs? I’d love to hear about what things worked well/didn’t work/if there are any tips for it??? Hello everyone! I hope that your weekend was as productive and awesome as mine, whether you took part in ISHW or did anything else. I spent the Saturday (around taking the bike back to the shop again, and going food shopping!) 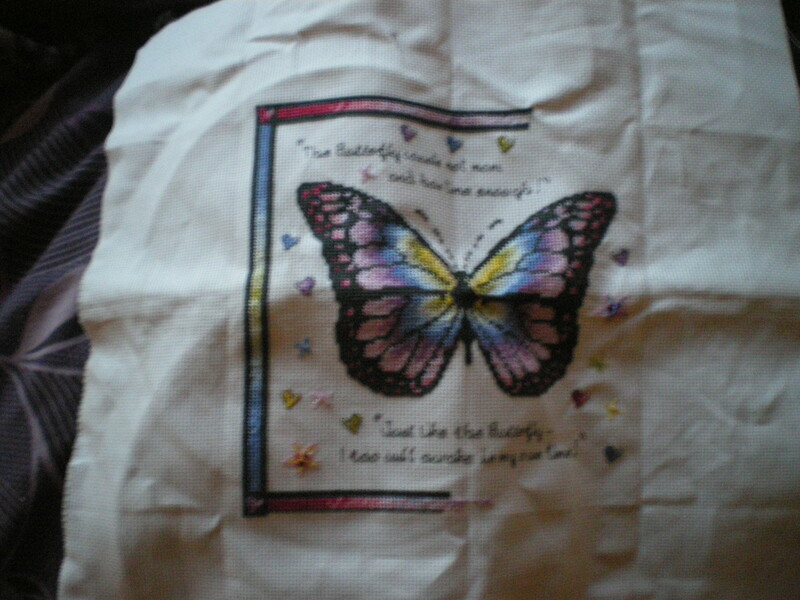 stitching on the butterfly. 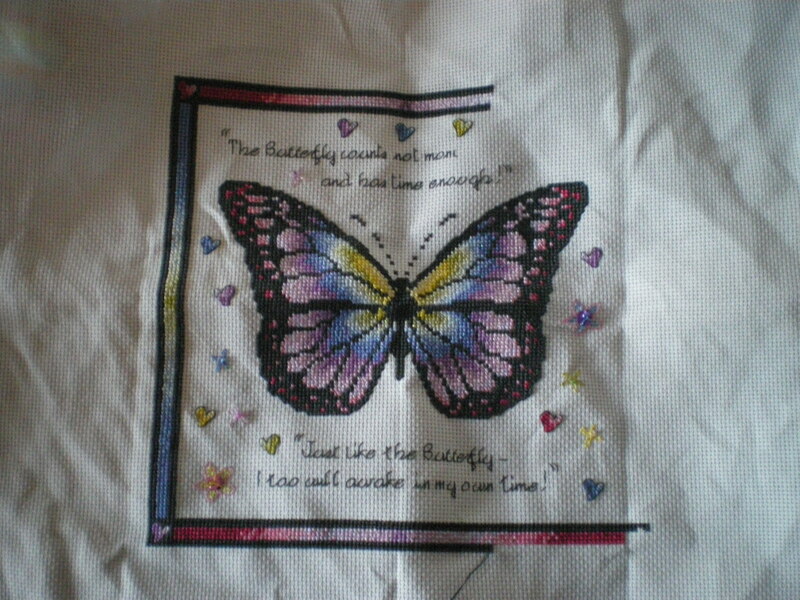 And the border is more than half-way finished now(the bottom part is half way done, and the top more than)! Yay! I cannot wait to see this finished! Then, on Sunday I was struck by my conscience of ‘I’m doing a Phd, so let’s do it already!’,and so I spent a fair few hours working. 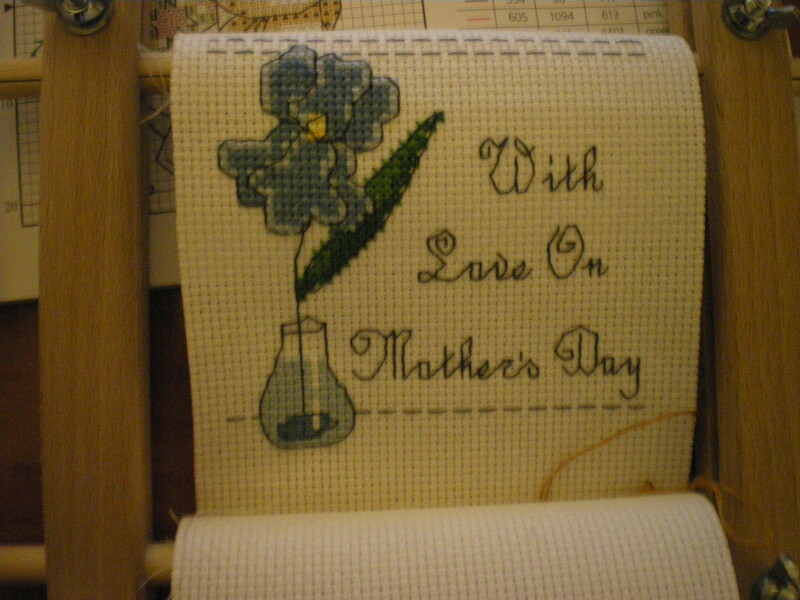 I did get quite a bit of stitching done as well- I did a smidgen more on my butterfly, before remembering that Mother’s Day is coming up (it’s March 15, for those in the UK), and therefore I should maybe start making a card for my mum (quick question: how do people keep track of various holidays necessitating cards? I would love to hear about any way you remember? 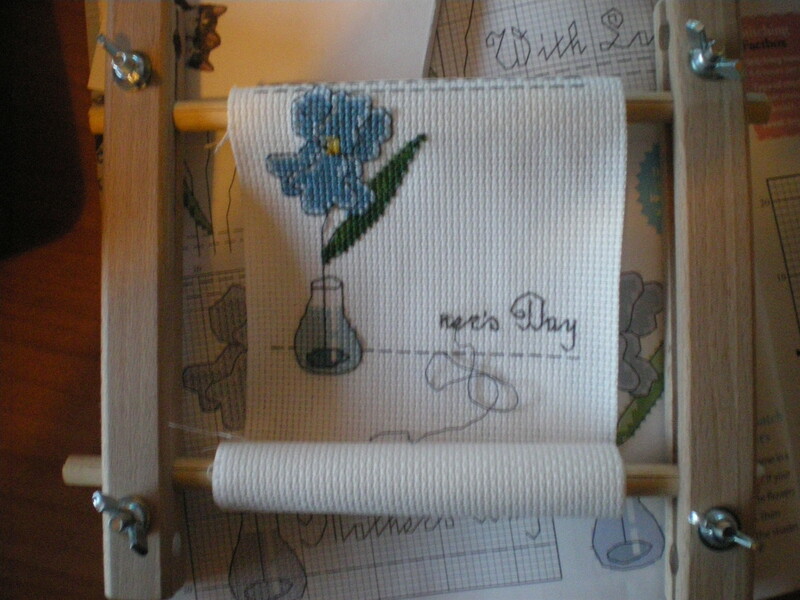 )…Which naturally necessitated a look through my big book of cross stitched cards.